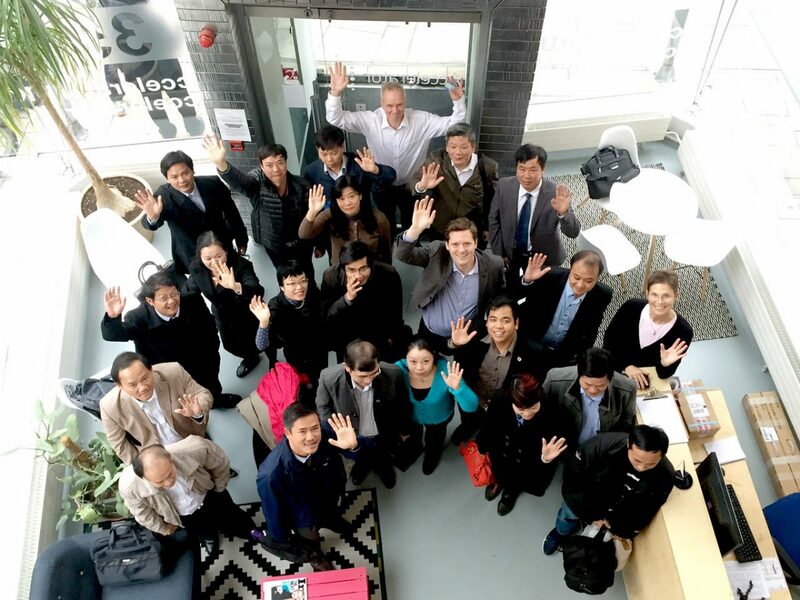 Today Accelerator welcomed a delegation of officials from the Vietnamese Ministry of Science and Technology lead by Director General Dr. Dam Bach Duong. The group of 20 are on a two week tour of innovation centres in London to understand the way government and universities support innovation and work with early stage companies. A big thank you to Mark Bartlett, Founder of Geneix and Alick Mackenzie, Founder of Enabled City (both based in Accelerator), who talked about their experiences starting companies in London. We wish our new friends well for the rest of their time in London!